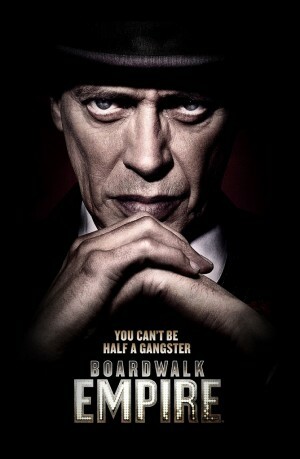 HBO just announced that Boardwalk Empire’s 5th season will be its final season. The show is a period drama focusing on Enoch “Nucky” Thompson (based on the historical Enoch L. Johnson), a political figure who rose to prominence and controlled Atlantic City, New Jersey, during the Prohibition period of the 1920s and 1930s. Primetime Emmy Award-winning screenwriter and producer Terence Winter created the show inspired by the book Boardwalk Empire: The Birth, High Times, and Corruption of Atlantic City by Nelson Johnson. The pilot episode, directed by Martin Scorsese, was produced at a cost of $18 million and the series as a whole has received widespread critical acclaim, particularly for its visual style and basis on historical figures, as well as for Buscemi’s lead performance.The series has received 40 Primetime Emmy Award nominations, including two for Outstanding Drama Series, winning 17. The series also won the Golden Globe Award for Best Television Series – Drama in 2011 and two Screen Actors Guild Awards for Outstanding Performance by an Ensemble in a Drama Series in 2011 and 2012. “It has been an incredible honor to bring this powerful and groundbreaking series to our subscribers,” said HBO Programming President Michael Lombardo.